i received this in the email today, and laughed my keister off, again. 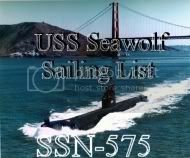 i saw this, or something very similar that made the rounds when i was a nooklear machinest mate on that much awarded submersible affectionately known as the PierWolf (SSN-575) back in the 70's. i traced the article back to the source, and post it here for all you knuckle draggers, handymen, gear heads, and in general anyone that actually knows which way to spin the knurled operator on a crescent hammer to open the jaws... without looking and without screwing up and having to reverse spin. here's the link: Today's Facility Manger. @#%&*-IT TOOL: Any handy tool that you grab and throw across the garage while yelling ‘@#%&*-IT’ at the top of your lungs. It is also, most often, the next tool that you will need. so it seems the feds have busted ANOTHER "drug submarine". see the article at Wired Magazine. hell, if they used real submariners to do this, they'd be getting through, since we all know that the steely eyed killers of the deep are stealthy, stealthy, stealthy. it appears the bubonic plague has struck again. this time, al-Qaeda terrorists. the "black death" hasn't been eradicated by any means. we've even had a couple of cases in the U.S. every year. but for 40 to die at one training camp? several commenters to the above linked article seem to think it is a well performed and successful CIA operation. idiots. what could it be? sanitation and lack of sufficient modern medical treatment perhaps? or what is most frightening: "with Pneumonic Plague, airborne bacteria spread like flu". does an airborne plague outbreak in a terror cell training center bother anyone else? are they working on, or training with this bacteria in preparation of a new offensive in the islamofascist war on civilization? stay tuned. hopefully it's just the hand of the cosmic joker being revealed, and not something much darker and far more sinister. He said authorities in the first week of January intercepted an urgent communication between the leadership of Al Qaeda in the Land of the Maghreb (AQIM) and Al Qaeda's leadership in the tribal region of Pakistan on the border with Afghanistan. The communication suggested that an area sealed to prevent leakage of a biological or chemical substance had been breached, according to the official. there are to date 84 other references to this on google news search. is it real? don't know. do i hope it's real, and that the survivors have all scurried back to the main al-Q camps, carrying the plague with them? a-yup. go over to amazingly enough and take the stress test he's posted. how stressed are you over the coming inauguration, or big company bailout? find out with this quick and easy test. California has experienced an 8 fold increase in autism cases since 1990. conventional wisdom was that the increase was due to an increased rate of diagnosis. a new study by the MIND Institute at UC Davis disproves that theory. some other environmental issue seems to be at the root of the problem. AlGore would tell you that it's probably due to global warming. me, i have a couple of theories. 1: the state of california required a reformulation of the gasoline we burn in our cars in this state. and it was around that time. 2: the advent of personal computers has given most homes and businesses in california a ready source of EMF surrounding the computer/monitor. and these sources are RIGHT THERE in front of our faces/bodies. 3: what has changed in the the last 16 years culturally? how about the burgeoning use of wireless communications devices running from cordless phones to cell phones and WiFi computer connections? hey, at least i'm thinking about the problem, and i have no sacred cow to protect. but does it much, much better. Just what IS an appropriate level of response by the Israelis? This has been THE topic of discussion by the low wattage, high profile talking heads and guest experts on the tube this week, and the reason for much of the world's ire regarding israeli response to the rockets fired into towns adjoining the gaza strip in the preceeding months. There were, I suppose, other “proportionate” responses available aside from killing one Palestinian and two Israelis. The Israel Defense Forces might have launched thousands of air strikes against targets in Gaza to match the thousands of Qassam rockets fired at the cities of Sderot and Ashkelon. It’s unlikely, however, that this is what Israel’s critics have in mind. So what do they have in mind? What would a legitimate and “proportionate” response actually look like? Surely they don’t believe Israel should scrap its sophisticated weapons systems, build Qassam rockets, and launch those at Gaza instead. The “disproportionate response” crowd doesn’t seem to mind that Israel struck back at Hamas per se. They aren’t saying Israel should only be allowed to negotiate with its enemies or that any use of force whatsoever is wrong. They’re clearly saying Israel should use less force, inflict less damage, or both. One problem here is that it’s not at all clear how they think Israelis should go about doing it. The weapons used by each side can’t be the same. No one has ever said Israel ought to put its superior weapons systems in cold storage until Hamas can develop or purchase something similar. Presumably Israel is allowed to use its superior technology as long as the casualty count on each side is proportionate. But how would that work in practice? A single Israeli air strike is going to kill at least as many people as Hamas can kill in twelve months. Does that mean Israel should be given a “license” of one air strike per year to use in the war? If IDF commanders want to take out a target where they expect five Hamas leaders or fighters to be killed, do they have to wait until five Israelis are killed first? If the Israelis endure rocket fire until one civilian is killed, do they get a “kill one Palestinian terrorist” coupon? i suggest wandering over to his site and read the whole article. appropriate response? kill someone in my family, and i'd find a way to level the whole damned place. barbarian, yeah, but that's the way it is. i would protect my family, and would demand the government do its job. that job.... protect my family. i guess hamas misjudged the resolve in isreal after the fiasco that was the lebanese incursion striking against hezbolla. than the original post. not exactly true in this regard, but still.. go check out the comments to this newspaper blog entry. by the way, christopher hitchins went up a notch in my esteem list following that video. But I’m sure the Maher audience is packed with Harvard MBAs who can fly jet fighters. No doubt many have been general managers of major league baseball franchises and quadrupled their value. The audience must be wall-to-wall with former two-term governors of large states and former two-term presidents of the United States. And you can bet most of Maher’s audience have liberated 50 million people from tyranny. Similarly, when the moronitude of Governor Palin is mentioned, agreeing that holding a degree in journalism doesn’t signify any particular intelligence, creates an atmosphere which is distinctly frosty.